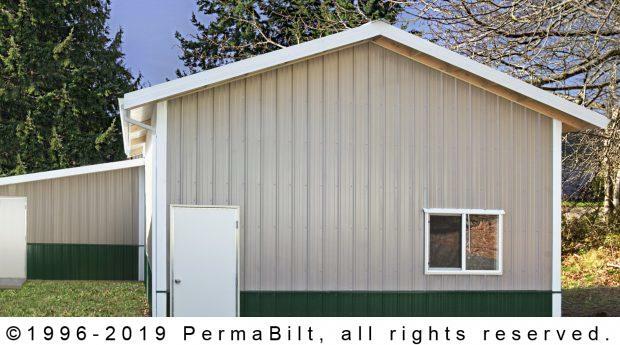 Sometimes our customers want to construct a building that is very specific to a design in mind but due to unforeseen circumstances, site, budget or permitting challenges arise. That’s why many of our customers appreciate when we visit their building site and can give them our expertise in what ways they can manage their design. 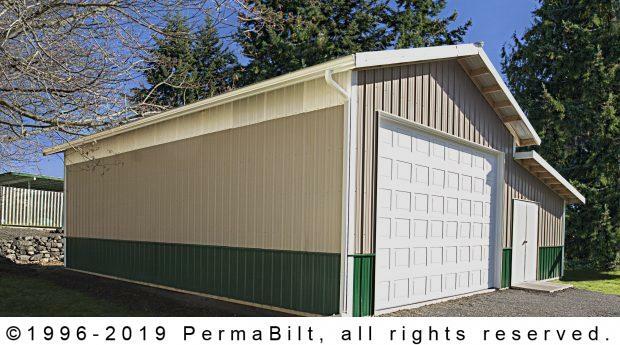 Case in point: A Bremerton Washington customer wanted to maximize his space to build a steel garage including room for his two motorcycles. 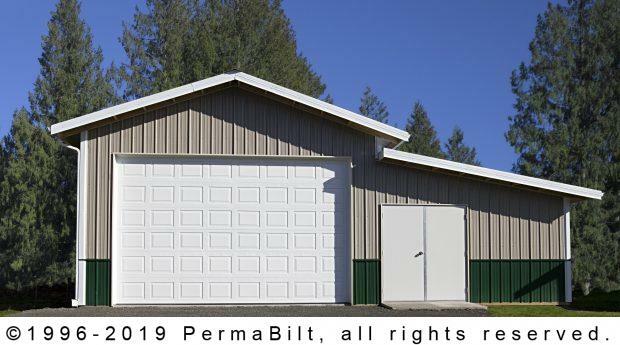 So to get every bit of space possible,beyond the garage, he had a studio lean-to or storage shed built connected to the front of his steel garage. This was custom fit to his needs. 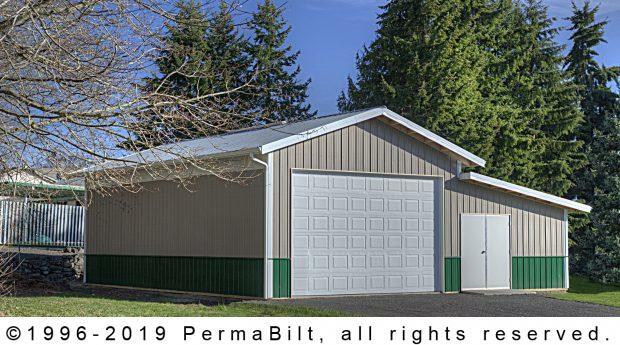 Additionally, he wanted to add wainscoting to the entire perimeter of his garage. 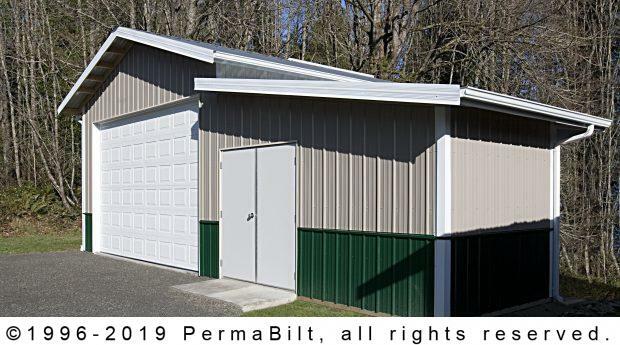 Available in a variety of siding materials——our customer chose a three foot, steel wainscoting. And he added (2) 2’ poly eavelights running the length of the garage providing natural interior light.